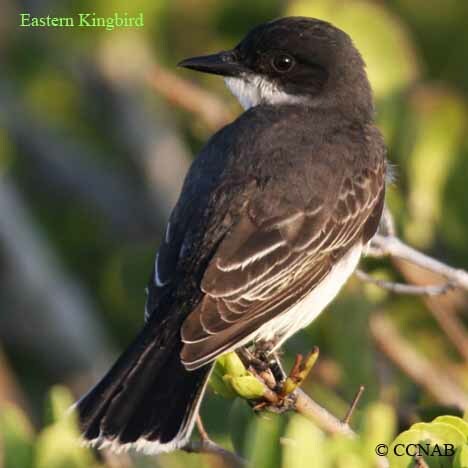 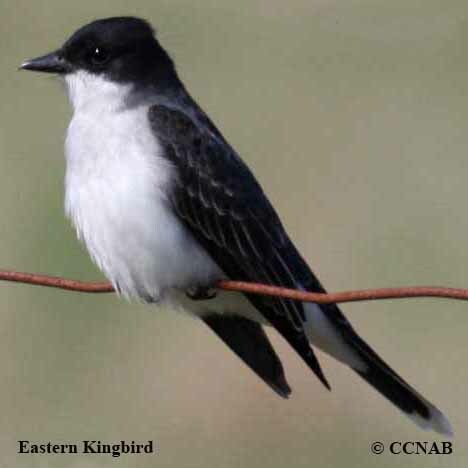 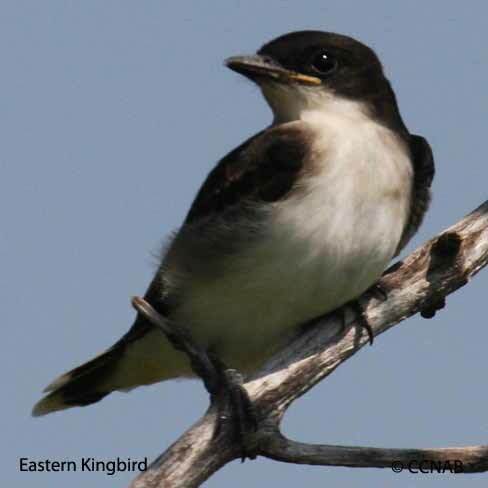 The Eastern Kingbird is a member of the flycatcher family. 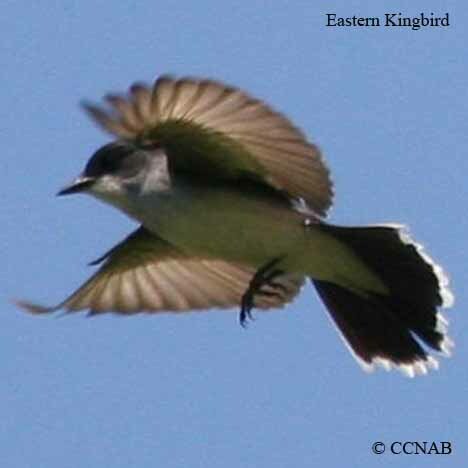 This brave and aggressive bird is often seen chasing larger birds of all species from it's territory. 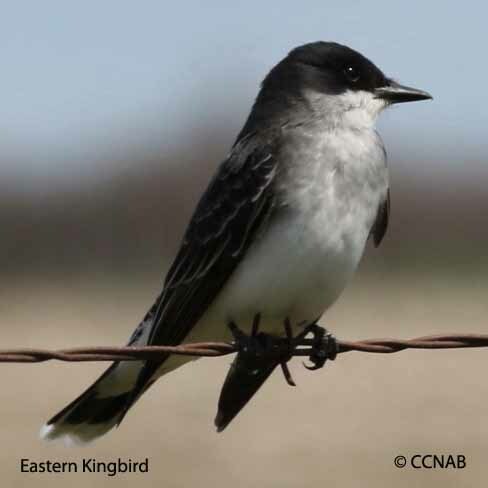 These birds include hawks,eagles,crows and ravens. 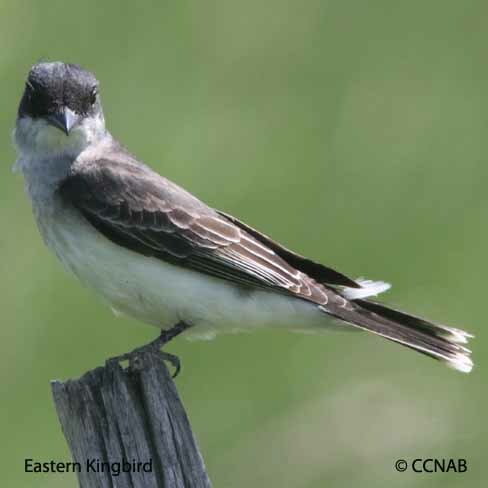 This is an easy bird to observe, its favourite perching places are utility and fence lines.